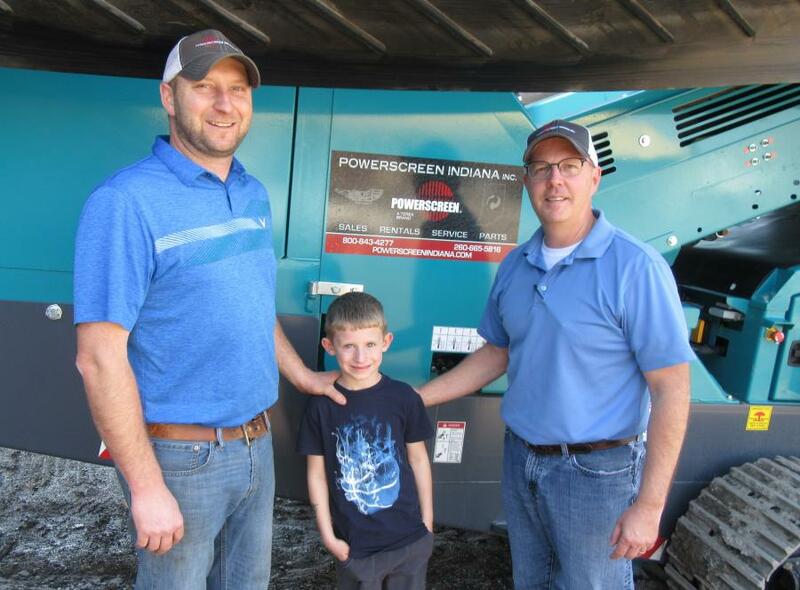 Powerscreen of Indiana Inc. recently announced a change in ownership, and is now locally owned and managed by David Sumner and Bryan Shutt. Established in 1985, Powerscreen of Indiana Inc. has gained a strong reputation for its commitment to customer service and aftermarket support, leading to steady growth since the company's founding. As a result, the dealership outgrew its downtown Angola location, and in 2010, moved to its facility just off Interstate Route 69 and U.S. Route 20 in Angola. Situated on seven acres, the 20,000 sq. ft. facility houses three service bays, a paint area, office space, conference room and lunchroom. The building also has an additional 4,000 sq. ft. mezzanine for storage and maintains an outdoor storage and staging area to receive and conduct initial cleaning and maintenance on equipment. 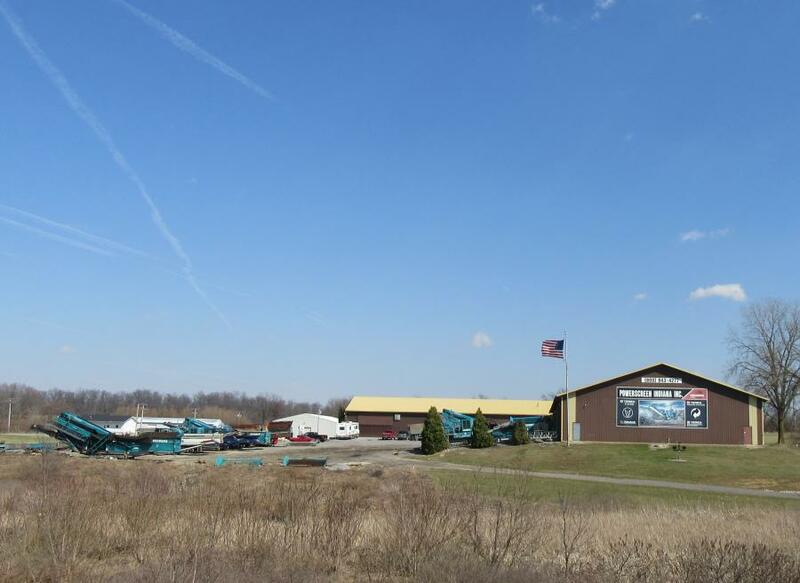 Just off Route 69, the location offers more convenient access for dispatching service vehicles and shipping and receiving parts as well as providing the added benefit of much greater visibility. Through strong and lasting relationships, the company gained a keen understanding of its clients' operations, leading to the selective addition of equipment lines to provide solutions for its customers. In addition to Powerscreen equipment, the company now offers a full complement of product lines designed and built for materials processing, stockpiling, handling, recycling and water treatment. The company is a full service and stocking dealership for Terex Washing Systems, Terex Environmental, Telestack, EDGE, Spaleck and Matec. While focused on serving its existing customer base, the additional equipment lines also opened access to new markets for the company. The company currently has a roster of 16 employees, made up of field service technicians, in-house service technicians, a parts manager, three sales representatives, two office personnel and a semi-truck driver. Sumner joined the business in February of 2016 to serve as chief operating officer. With 28 years of experience in commercial banking, Sumner offered a strong business background to serve the company. Shutt, with over nine years with the company, provided a deep level of industry knowledge that would complement Sumner's business strengths. Sumner and Shutt closed the purchase of the company on Jan. 20. Both Sumner and Shutt feel the relationship is a great fit and with the acquisition, Sumner is the company president while Shutt serves as vice president and sales manager. According to both men, the company will remain focused on its customer base with the same emphasis on service that earned the dealership's strong reputation in the marketplace.